In the past ten years Colorado has gone from just one craft distillery to fifty, making it one of the foremost states for craft spirits in the county. 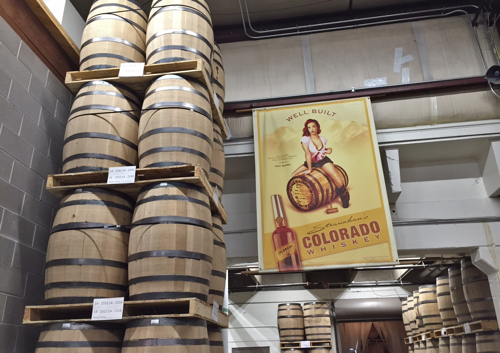 For part two in our Drinking Colorado series, we take a look at a few standout distilleries in the Denver area: Stranahan’s, Leopold Bros and Laws Whiskey House. Plus, we’ll throw in a few spirit-friendly restaurants and bottle shops for good measure from our recent trip out west. First, let’s start with the distillery that put the state back on the distillation map. 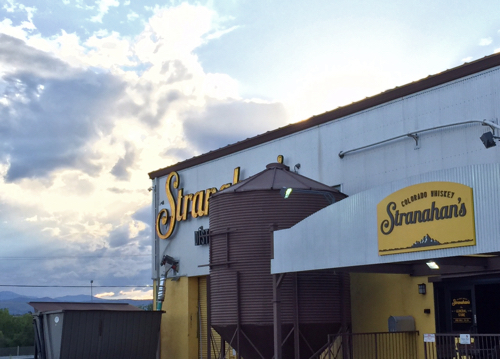 Stranahan’s became Colorado’s first legal distillery since prohibition when they opened their doors in 2004. 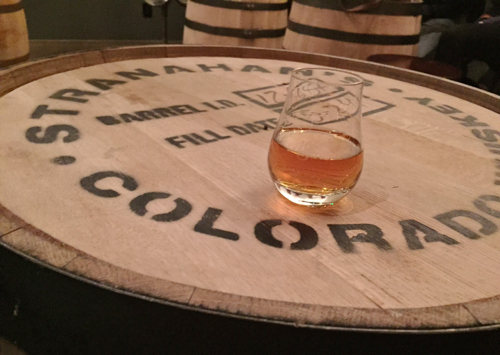 If you’ve had their whiskey, there’s a good chance that you’ve had Stranahan’s flagship yellow-label Colorado Whiskey, which is a 2-5 year-old spirit made from 100% malted barley (80% of which is grown in the state and the other 20% is grown in the Rocky Mountain region). 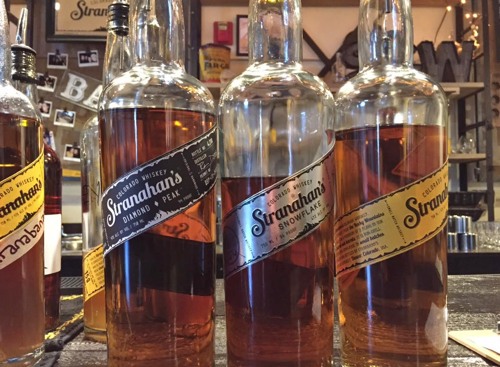 In addition to their flagship, Stranahan’s recently released Diamond Peak, an age-stated 4-year whiskey (which has been making its way around the country over the past few months). It’s a little bit sweeter than their regular juice, but a nice whiskey nonetheless. They also offer a limited edition product called Snowflake which is released twice per year, is never the same, and sells out in the course of a few hours. The latest batch of Snowflake was produced from a blend of whiskeys finished in red wine barrels, a Spanish Oloroso Sherry cask and one barrel from Breckenridge Brewery’s ESB Double Wood beer. It’s pretty delicious stuff. You may not be able to buy a bottle of Snowflake very easily, but you can get a taste of a recent release at the distillery on Friday’s and Saturday’s when their lounge is open. And if you’re looking to try some Stranahan’s Snowflake, this is probably one of the only places you’ll be able to do it (at a very reasonable price of $15 a glass, I may add). While you’re there, I recommend checking out a tour, which is free to the public and ends with a tasting of their flagship Colorado Whiskey. The tour takes about an hour and you can sign up online. One last thing I’ll mention about Stranahan’s is that they were acquired by Proximo (the spirits company that owns Kraken and 1800 Tequila, amongst others) a few years ago. There was some negative chatter that surrounded the buyout (understandably so)—rumors that the distillery and liquid was going to change under new ownership. I had Stranahan’s pre-buyout and post, and although the product seems to be a bit different from when I originally tried it, the whiskey now is still really good. Even the flagship yellow label is up there with some of the better American craft malt whiskey available today. So, in short, don’t let rumors stop you from visiting next time you find yourself in Denver. 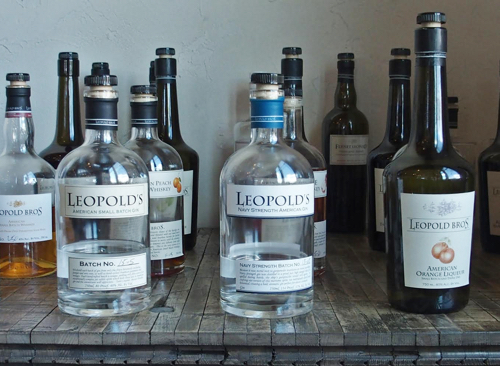 Leopold Bros. is a really interesting distillery for a number of reasons. First, they make over 20 spirits, including a handful of whiskeys and gins, and also a ton of fruit spirits. The distillery began as a brewpub in Michigan about 16 years ago, but quickly started experimenting with distilling for their pub crowd, and then switched their entire operation to spirits when they moved to Denver several years later. 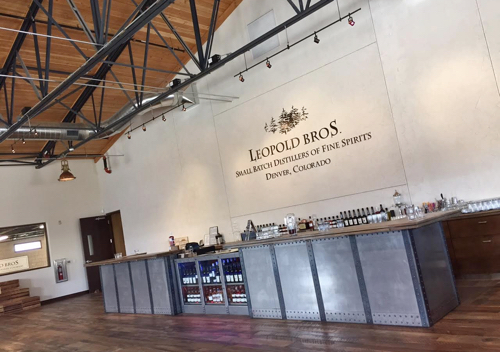 Currently the distillery has about seven employees, including the two founding Leopold brothers, who produce all 20+ spirits in a beautiful new building that opened in 2014. The distillery is in a rather odd industrial area of Denver, but is absolutely worth a visit and tour. In fact, I’d go as far as to say that this is easily one of the coolest craft distilleries I’ve visited in the US. Although they aren’t using them yet for commercial production, the distillery is equipped with the largest floor malting space inside a distillery in North America and a traditional kiln that they’re gearing up to start officially using shortly. Once those two components are in full operation, they’ll be able to start incorporating their own house-made malt into their products. Another cool facet of this distillery operation is that they use open wood fermentation tanks instead of the enclosed stainless steel tanks you’d customarily see. 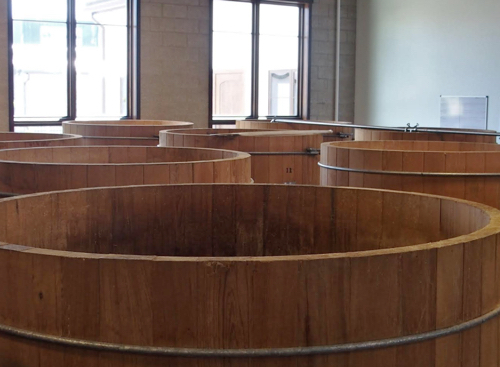 The open fermentation allows ambient yeast to make its way into the mash and the wood allows the mash to penetrate the wood grain, building up unique flavors over the years. Not only is this really cool to see in action, but it is even cooler knowing that this process is essentially creating a unique terroir within the distillery that will grow into something that is totally unique to Leopold Bros. Given this and their soon-to-come house-made malt, I can’t wait to taste how their products develop over the years. Leopold Bros. offers a handful of tours that you can book in advance on the website. The tours range from a cocktail hour to a short welcome tour to the Connoisseur tour that I did which lasted about three hours, went into geeky details (that I loved) and went through a tasting of all 20-something products. In regards to the spirits themselves, I particularly enjoyed their two gins and a few of the fruit liqueurs (which each have 3-4 pounds of fruit per bottle). For those of you who are cocktail enthusiasts, I think you’ll find plenty of interesting options here to bring into your bar collection. As for the whiskeys, we only got to try the 2-year small batch and a few fruit whiskeys on this particular visit, but they also offer a Maryland-style rye which seems to be in high demand. Aside from these two Denver distilleries, their are a ton of other great spots in the area to enjoy spirits in their many forms. Here are just a few other stops I’d recommend. 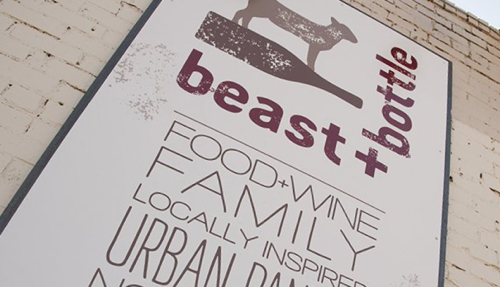 For amazing food and killer cocktails in Denver, check out Beast & Bottle. This was the best dinner I had on my trip, hands down. Go here and let Chef Paul Reilly wow you with his farm fresh food. But also, seeing that this is a drink list, I must mention that Beast and Bottle makes some truly mind-blowing and inventive cocktails. When I went, I indulged in a drink they call “Dead beetles and the dirty old grand-dad”— a ridiculously delicious cocktail made with Old Grand-Dad whiskey, Leopold Bros Aperitivo, PX Sherry and Carpano. If you’re not into cocktails, Beast & Bottle also has a well-curated wine list and a menu that features their own “home-brewed” rye saison. For tasty barbecue and a stellar (impressively well-priced) whiskey list in Boulder, check out The West End Tavern. American whiskey is their core focus (and they have a pretty fantastic selection), but I was also impressed with their scotch selection as well. A dram of Talisker 30 for $35… that’s a steal in my book. Plus, pretty much every hard-to-find Bourbon you could want. For an impressively curated wine, beer and spirits shop in Denver, check out The Proper Pour at The Source. These guys had a great craft beer and wine selection, but they also had a really nice showing of local Colorado-made, small batch spirits. Plus, this shop is literally right next to Crooked Stave’s tap room, so it’s a double win. Finally, for another standout craft whiskey distiller in Denver, check out Laws Whiskey House. Although I didn’t make it to the distillery in southwest Denver, I did get a chance to taste a couple of their products throughout my visit. The distillery’s flagship product is a tasty four-grain Bourbon made with corn (of course), barley, wheat and rye. 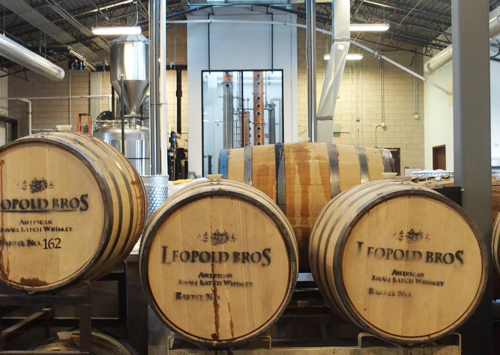 Like Leopold Bros., Laws uses an open-air fermentation which brings a unique quality to the spirit. 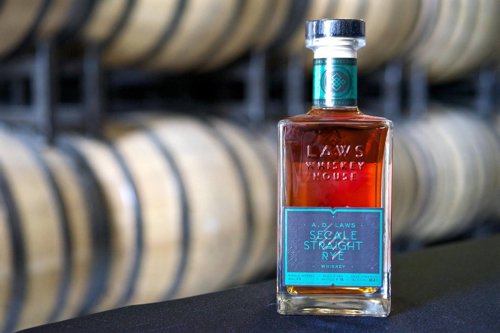 I really enjoyed their four-grain whiskey, but I was even more impressed with a very limited edition Laws rye I got to try that was made with an heirloom varietal called Secale. I tasted this whiskey at The Kitchen in Denver, which was another standout restaurant on my trip. Clearly, I just scratched the surface of what Colorado has to offer when it comes to spirits, but I’m confident in saying that if you visit any of these recommendations in the post, you’ll enjoy some great drinking, perhaps some amazing food, and some nice company. Interested in Colorado’s craft beer scene, check out part one here.